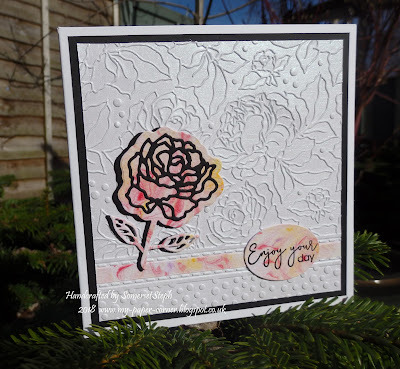 On Issue 3 of Love Cardmaking magazine was a free cover mount of lovely stamps, dies & embossing folder called Rose Elegance from which I've created this floral card. I also rediscovered in my stash some shaving foam backgrounds I’d made ages ago, one was just perfect to use. 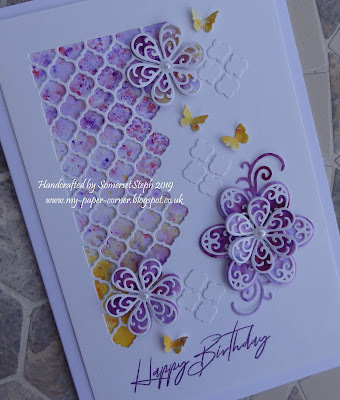 The embossing folder has lovely fine detailed lines, didn't want to cover too much of the design up so just placed the die cut rose to one side and the sentiment on the other to balance. 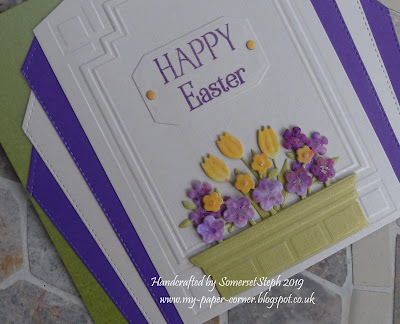 The embossing folder has a dividing space just right for some ribbon but I decided to place a strip from my shaving foam background instead. 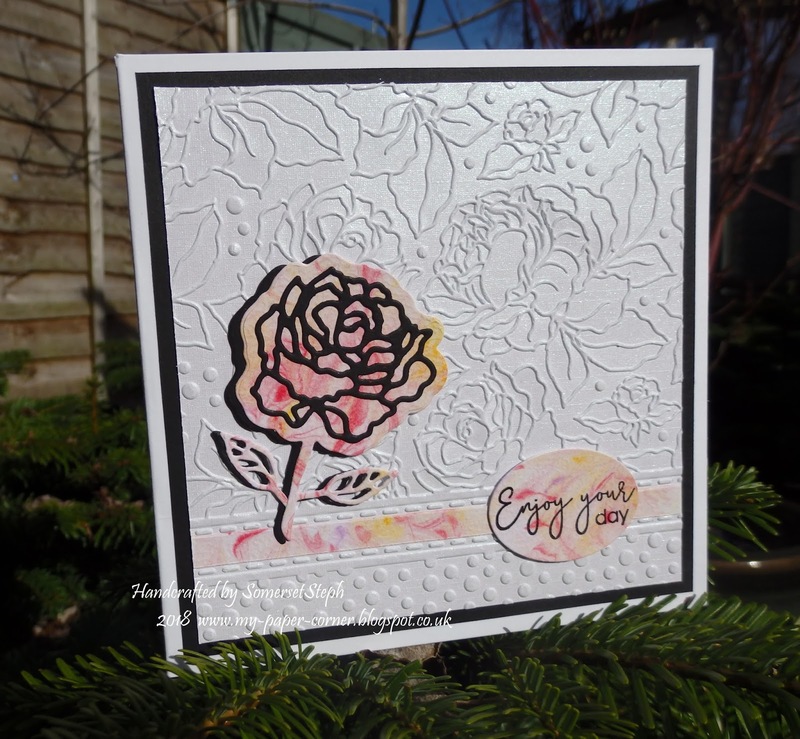 The rose has a black offset shadow just to give it some lift. 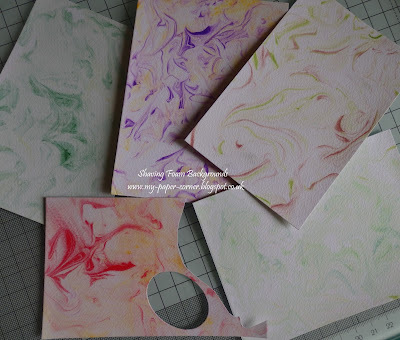 These are the rediscovered shaving foam backgrounds ... 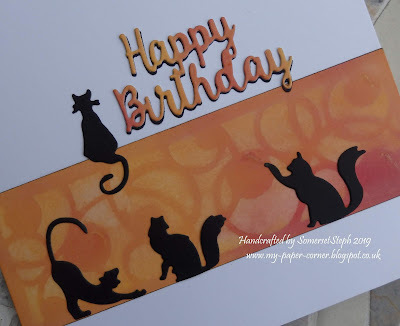 I seem to remember I used some old Pergamano paint/inks (kept from my parchment days) dropped on the shaving foam with textured card ... now they are handy I'm sure they will feature on future cards.